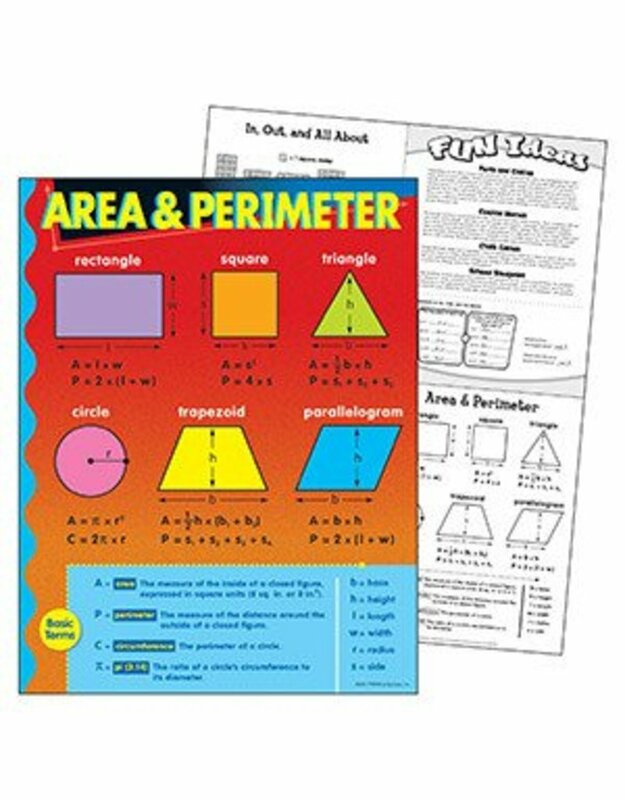 Chart shows basic geometry formulas and definitions for area and perimeter. Durable. Extra Value: Reproducibles on back. 17" x 22".